For the holidays, here on ChellyWood.com, I’m doing a countdown to New Year’s eve. These are my top 15 videos from my YouTube channel! All of my free, printable sewing patterns are found on this page (although the western saddle is my daughter‘s pattern, not mine, so that’s not available on my website), and this video tutorial can give you a few tips and pointers about how to print my patterns. I use a 1/4-inch seam allowance (that’s standard for fashion dolls). But if you have any questions that aren’t answered here, don’t hesitate to contact me. I’m a friendly and likable person! 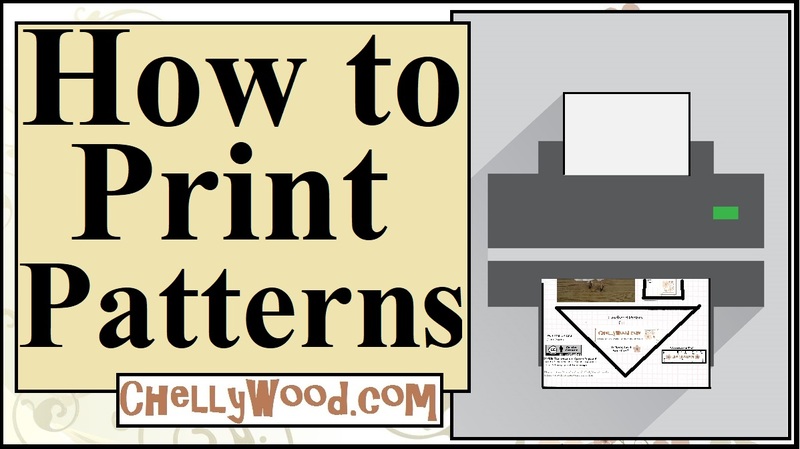 If you enjoy my free patterns and tutorials, please show your appreciation by doing one of the following: like my video on FB, tweet about it, and/or pin it to your Pinterest page. That way you’re helping to spread the word that these free, printable sewing patterns and free tutorials exist. And if you’re wondering why I give away my patterns and tutorials for free, please check out this page. It explains my general motives.